The House passed the DREAM Act! Now we have a fight in the Senate. We are fighting to get the DREAM Act passed this year because it gives undocumented youth a path to citizenship if they work for a college degree or serve in our armed forces. It’s a basic question of fairness. 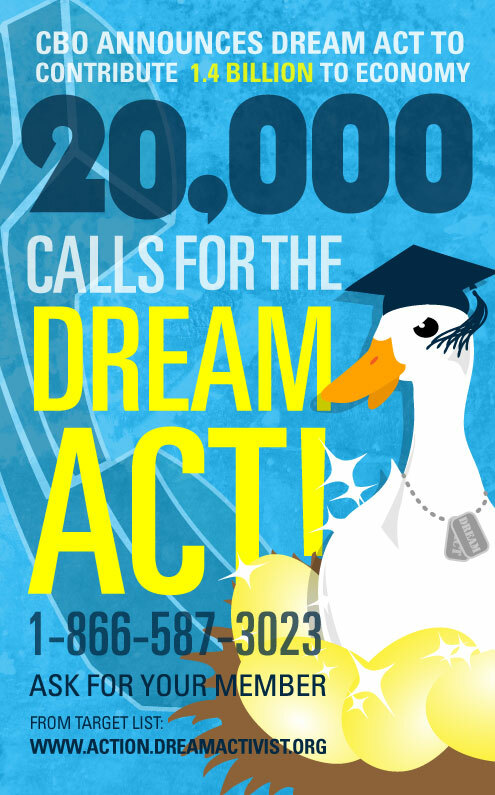 Call your Senator now and ask them to vote YES on the DREAM Act.